For many, the arrival of summer implies the beginning of the holidays and some of those days are dedicated to particular adventures, such as a mountain tour. When the trek consists of a route of about 6-7 days sleeping in shelters, you have to be very careful with the choice of the backpack and the chosen material. In this case with a backpack of 40L (in summer) is enough. 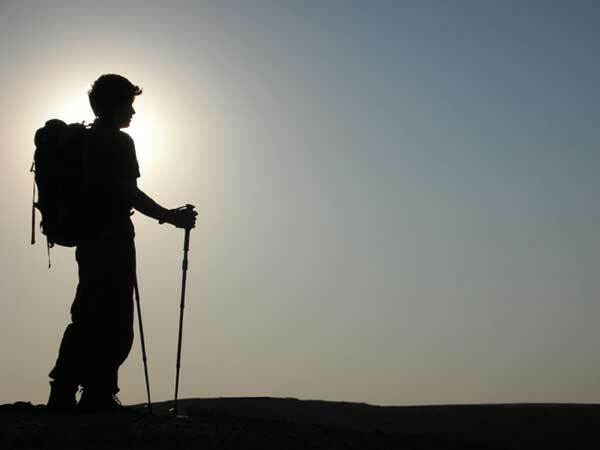 The total weight of the backpack should not exceed 10% of your body weight. Otherwise, fatigue is accentuated. If necessary, the sleeping bag for the shelter will be placed at the end of the backpack. The clothes will be divided into different compartments to keep the backpack always tidy. The food will go on top. Side pockets can be used for the water bottle, a small tripod or some food to keep on hand like energy bars, but never objects that protrude or weigh heavily. In the outer pocket of the backpack (commonly known as “mushroom”) we will put objects such as creams, cap, gloves, telephone, handkerchief, whistle, and razor. On the inside, we will keep the wallet, documentation, paper, pen and more delicate objects. If the camera is large, it will be better to carry it attached to the belt of the backpack, if it is small we can attach it with the help of a snap hook at the height of the chest. The waterproof jacket should be on hand to find it easily in case of rain, as well as the gore-tex. A cloth bag for dirty laundry is convenient, as are 2/4 clamps for hanging wet clothes in shelters. It is convenient to carry the suitcase and shelter clothing in the same sealed bag or cloth. Do not forget the personal kit and the thermal blanket. Every time we do not need to wear sunglasses or any garment that we wear, it is better to keep it and not carry it hanging. Many materials get misplaced for this reason. When we remove the backpack, we must support it on the outside, putting the sun on the back area, so it is dried and protected since it is the most delicate part. The weight should go on the hip, never on the shoulders. Fatigue will appear in very short time. Whenever you go to buy a backpack tell the clerk to put a pair of climbing ropes inside and once adapted to your body hold it for a minimum of ten minutes. It is best to try about 3/5 backpacks.